Raven has rejected her fairytale destiny. Prince Charmings? Happy endings? Not any more. It’s back to school at Ever After High. Raven, daughter of the Evil Queen, wants to be good. But refusing to sign the Storybook of Legends is totally evil. It’s so unfair! She’s risking everyone’s future – especially Royal Apple White’s, who might never get her poisoned snack and fairytale kingdom to rule. That’s how the rivalry starts. The Royals want to play by the book and embrace their stories. The Rebels back Raven: they want to break free from destiny. Will there be a happy ending? Read this legendary story to find out. I will try to read this by borrowing it out the next time I go to my local library. 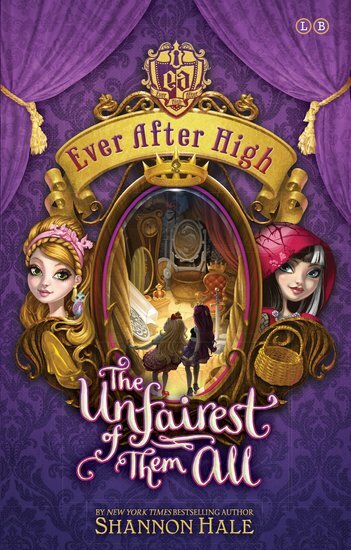 I really want to read this book because I have already read one of the ever after high so I really want to read more.